Named for the Duke of Argyle who was Governor-General of Canada from 1878 to 1883 (and husband of a daughter of Queen Victoria), the first Argyle School was erected in 1881 at the corner of Argyle Street and Henry Avenue, replacing a two-room, two-storey school that had previously operated on Louise Street. Designed by local architect Thomas H. Parr and built of brick veneer, Argyle School No. 1 had two classrooms. The next year, two more classrooms were added. This four-room structure was used until being replaced by Argyle School No. 2, a three-storey structure, designed by architect C. H. Wheeler, and constructed by contractor T. M. Harrington during the summer of 1896. This two-storey building had ten classrooms and was capable of accommodating up to 500 students. 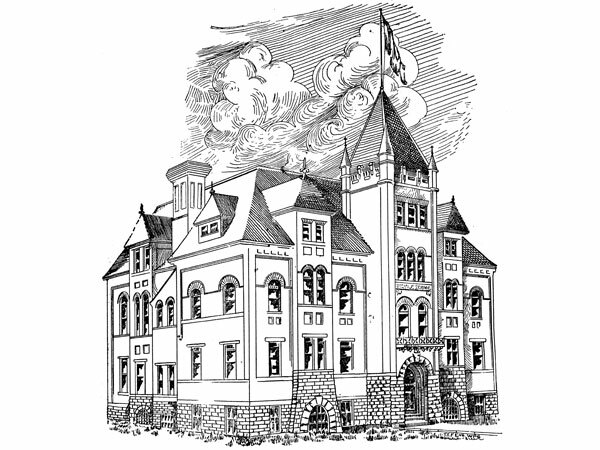 It had four classrooms on each of its first and second floors, two classrooms and assembly hall on the third floor, with a Principal’s office, teachers’ library, and reading room. 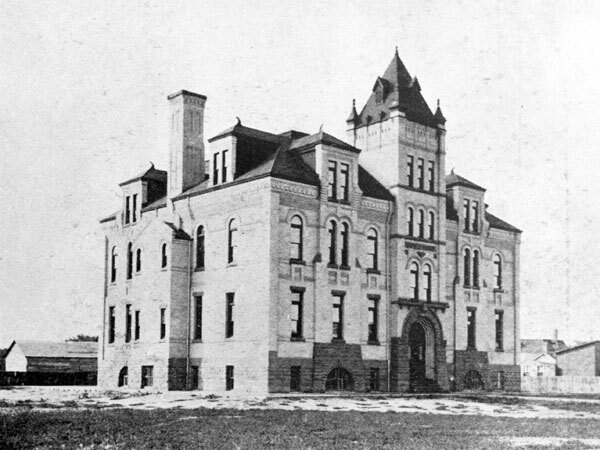 It opened for classes in September 1896. Argyle School No. 2 closed its doors on 4 February 1952. The building was demolished later that year and replaced by the present school at this site. The present cottage-style structure was build of more glass and less steel than previous structures and opened to students on the same day as the old school’s closure. An official opening ceremony was held on 7 March 1952, hosted by Eric Hansen, a local school trustee and President of the Argyle Home and School Association. Also present were Mayor Garnet Coulter, School Superintendent Herbert McIntosh, Department of Education Inspector A. F. Kerr, Principal Isabelle Betsy Smith, School Board Chairman S. B. Laing, and Reverend P. M. Petursson. The school cost $140,000 and consisted of six classrooms and an assembly hall. The schools design was such that should enrollment decline, the interior walls could be knocked out, and the building easily converted into an industrial plant. Noteworthy people who attended Argyle School included Simon Abrahamson, Charles “Cully” Abrams, Norman Code, Robert Code, Joseph Crawford, Harold Ellerby, Charles Finkelstein, Dr. Abraham Hollenberg, Michael Hollenberg, Joseph Hollenberg, Narov Lansky, Ephraim Portigal, Slaw Rebchuk, A. M. Shinbane, Abe Weidman, John Weidman, Nate Zimmerman, Louis Zimmerman, and Norma Zimmerman. Annie C. Dickie, Jean Ellis, ? 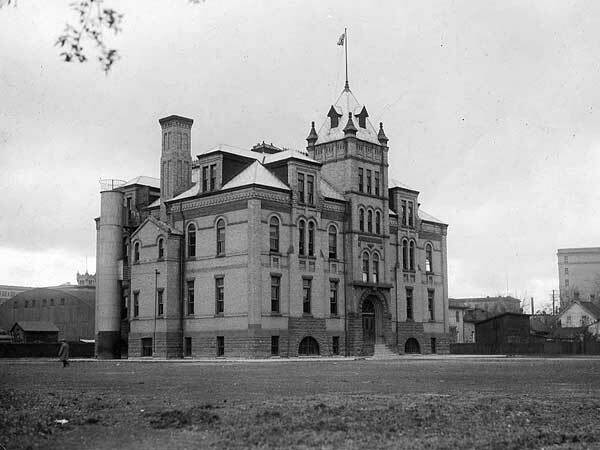 Source: Archives of Manitoba, Winnipeg - Schools - Argyle #1. “Winnipeg schools, No. 5—Argyle,” Manitoba Free Press, 20 October 1922, page 5. “The Argyle name honors early Governor-General” by Claire Tisdale, Winnipeg Free Press, 7 February 1949. “Argyle School puts up the shutters,” Winnipeg Free Press, 31 January 1952, page 3. “Official opening of Argyle School slated Friday,” Winnipeg Free Press, 3 March 1952, page 20. “Tender for demolition of a school building,” Winnipeg Free Press, 4 April 1952, page 40. “Plasticine, paper, pegs - city schools stock up,” Winnipeg Free Press, 23 April 1952, page 3. “School board year one of precedents,” Winnipeg Free Press, 30 December 1952, page 3.